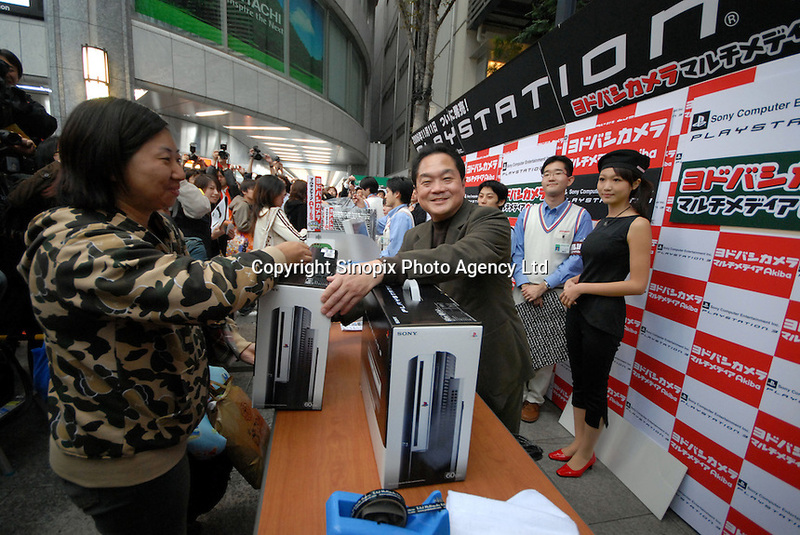 Sony Computer Entertainment CEO Kutaragi sells The Playstation 3 at Yodobashi Camera in Akihabara in Tokyo. The Playstation 3 goes on sale on Nov. 11 in Japan, a week later in the United States and next spring in Europe. But in cyberspace, it is all sold out which is good for Sony..